While I did a post some months ago with the 11 best free things to do in Berlin for Hand Luggage Only, where I tipped you about the best free things to do and experience in this amazing city, I am now back with more tips on…. 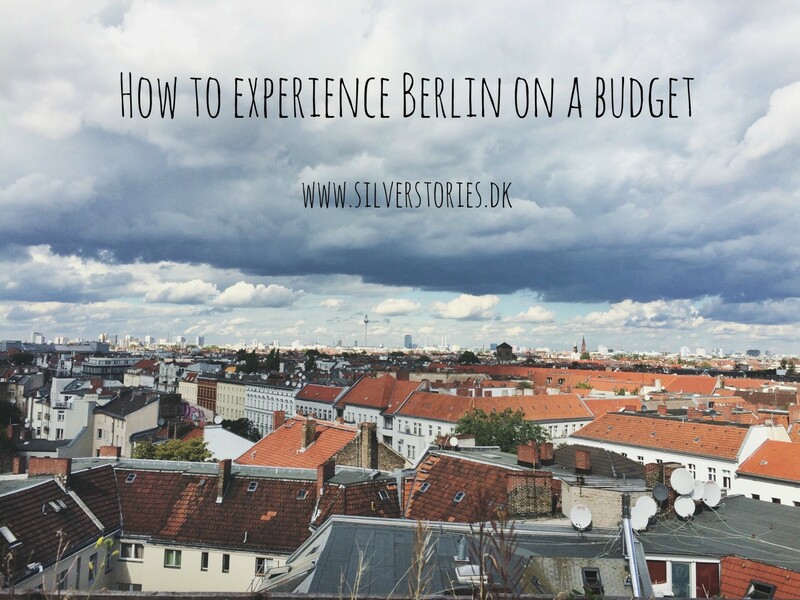 how to experience Berlin on a budget and how to save some money during your stay. Make sure you read the other article for the best tips on how to experience Berlin and its sights and history for free, and check the advice underneath for how to experience Berlin on a budget. Find a cheap place to stay. When planning your trip to the city of partying, you want to make sure you have a nice but cheap place to rest your tired self after days of exploring Berlin. While many people assume that booking a bed in a hostel may be the cheapest option, it might not be that way. Scour the Internet for the best prices, expand your horizon to get a good deal for example on Wimdu, private rental vacation apartments, AirBnB, Couch Surfing or even better – try your own connections, maybe someone knows someone that knows someone that will lend you a couch. Get tipsy the cheap way. Changes are high that if you are young, one of the reasons to visit Berlin is to experience the renowned night life humor has it that Berlin offers. While Berlin is still a fairly cheap city, your wallet will become smaller and smaller if you go straight to the famous clubs to party and just depend on the bar in the club to get you drunk. My best advice to save money when going out is to, if you are lucky enough to be staying in a place where you can warm up which drinks at home before going out, then go to the supermarket and stock up on whatever you prefer to drink. If that is not possible, go to a späti (a kiosk in German). They have half a liter of beer for 80 cents, and some of them even offer outdoor seating. Could it be more perfect? Eat street food. Not that restaurants in Berlin are anywhere near expensive, but eating out the whole time on vacation can be hard on your wallet. Luckily there is a way to avoid this from happening. Berlin offers several amazing street food markets and flea markets with food where you can try delicious food from all over the world at low prices. Besides from that you will find a döner or curry wurst stall on every street corner, where you can have your dinner covered by taking no more than 3 euros out of your pocket. My favorite markets: Turkish Market at the Maybach Ufer (Tuesday and Friday), Markthalle 9 (Thursday), Bite Club (every second Friday), Boxhagener Platz (Saturday and Sunday), Neue Heimat (Sunday), Mauer Park (Sunday). Walk! All though Berlin is a very big city, one of the best ways to get to know and experience a city is by walking or biking. You will see a lot more of the city this way. If you make sure you plan your days in Berlin well, and you know what you want to see in the different areas, you might be able to depend on public transportation some of the days, and the other days walking around can do the works. Do things that are free. Berlin is packed with great experiences that won’t cost you a single dime. Nobody said that you have to pay 20 euros for the entrance fee at a museum to have a good time and to really explore the city. Just check my list for great tips on what to do in Berlin for free. 11 best free things to do in Berlin.